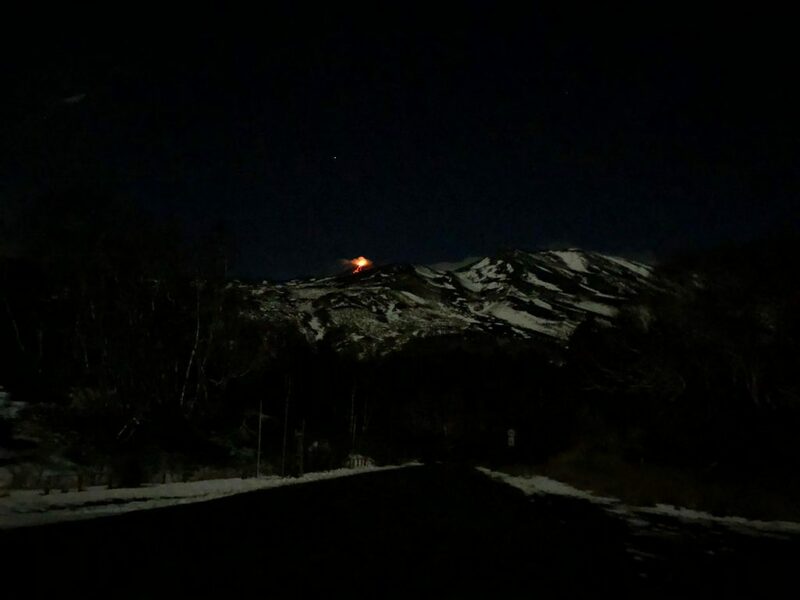 Christmas Eve 2018 will certainly remain in the memories of the inhabitants of the Etnean territory: during the early hours of December 24th, in fact, began a seismic wave accompanied by a great emissions of volcanic ash. 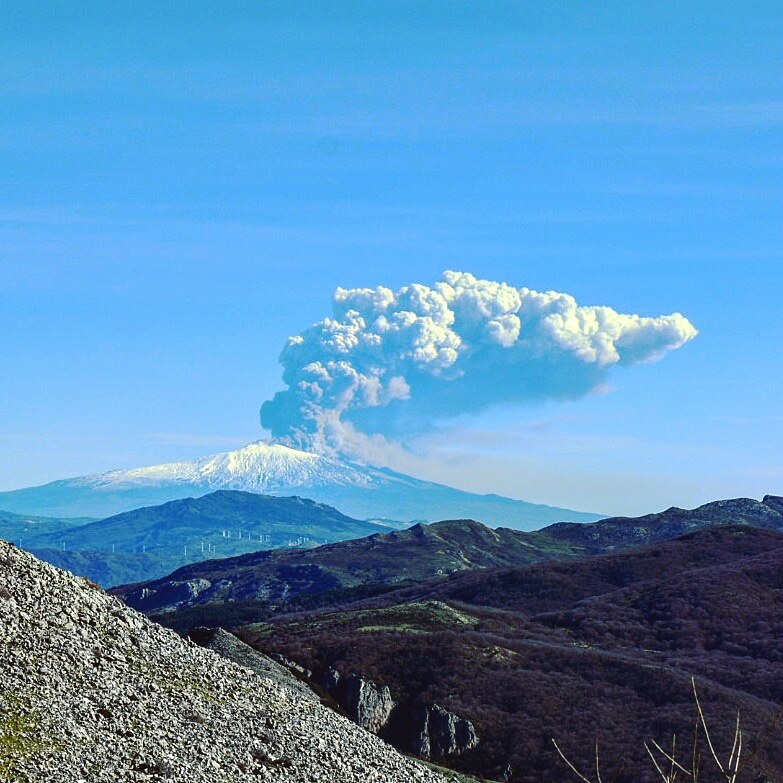 A significant eruptive activity that lasted for about 4 days. 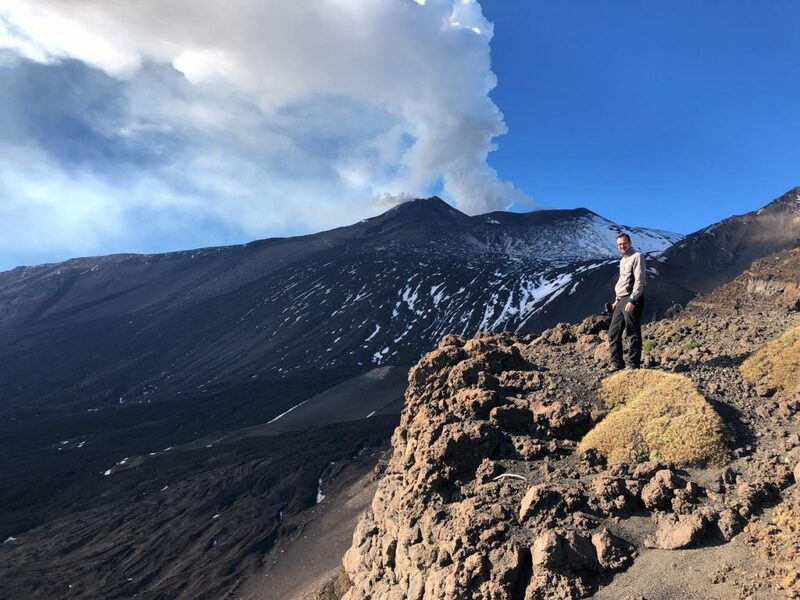 After a lively Strombolian activity that affected the new South-East crater in the pre-Christmas period, the last significant eruptive activity that affected the highest active volcano in Europe began at around 9.30 am. An eruptive fissure opened at the eastern base of the South-East Crater and spread towards the western wall of the “Valle del Bove” reaching an altitude of 2400 metres above sea level. 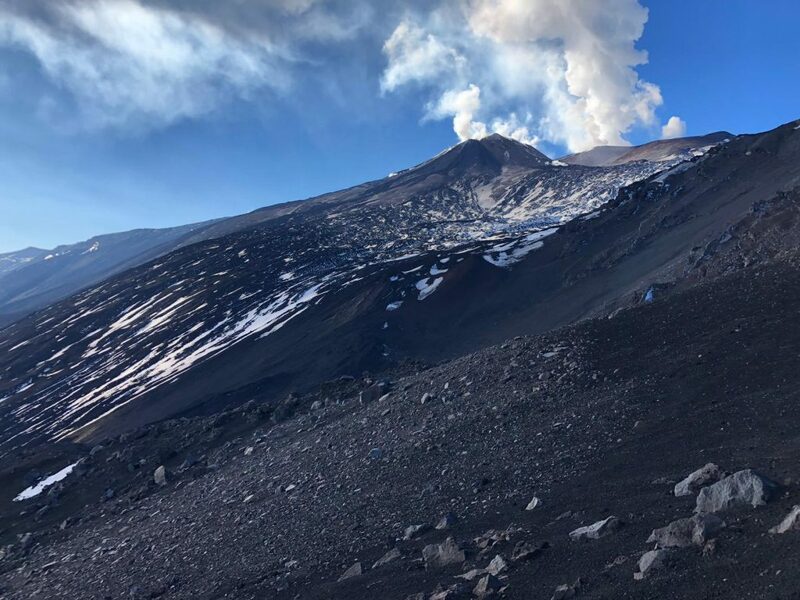 A second eruptive fissure also opened between the new South-East crater and the North-East crater, producing a weak Strombolian activity at the same time as the one due to the North-East Crater and the “Bocca Nuova”. The totality of the activity of the different eruptive craters has generated a cloud of ash, a plume visible from several kilometers away. 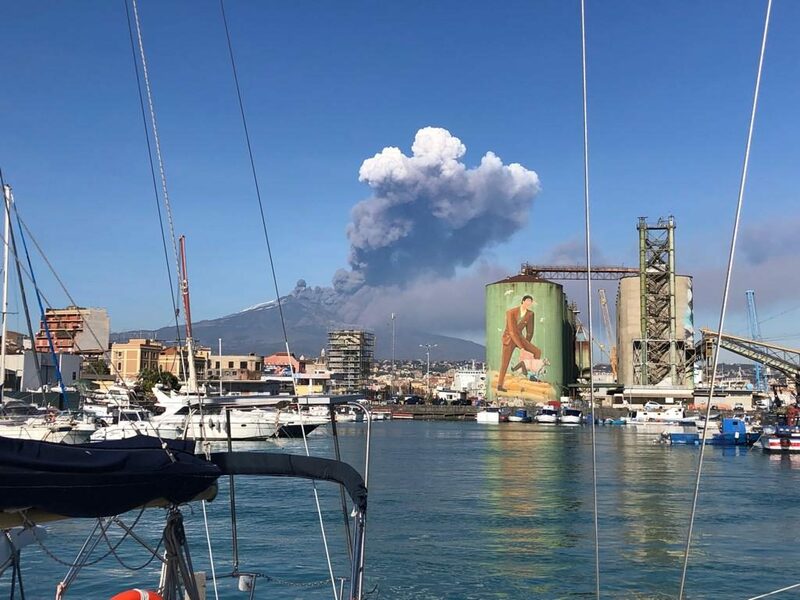 So much volcanic ash has fallen on the Etnean towns, especially on the territory of Zafferana Etnea, and has also compromised the activity of the airport of Catania: no flight arriving or departing from the Etnean airport. 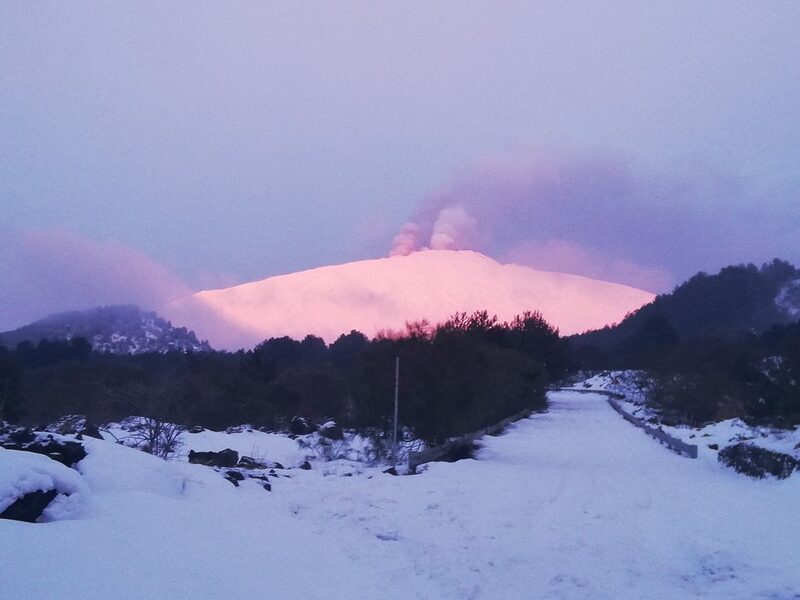 A lava flow continued to flow into the Valle del Bove until the night between 26th and 27th December. Is it possible to take excursions in these circumstances? Surely it is not recommended to go to Etna without the assistance of an expert, but if you want to discover the volcano, you can do it by relying on an agency like ours that organizes excursions using the professionalism and knowledge of experienced guides of the area, volcanologists, geologists, highly qualified people who will be able to carefully evaluate the circumstances and guide you in total safety to the discovery of our beloved Etna. What have we done during this eruption? After the first explosive moment,once the most intense period characterized by a higher energy release has ended,our guides led tourists to the most beautiful panoramic points on the Bove Valley to admire from a reasonable distance the movement of the lava flow. Of course they did it according to the regulations and restrictions imposed by the prefecture of Catania, the INGV (National Institute of Geophysics and Volcanology) and by the restrictive ordinances of the Etnean municipalities,following the directives of distance in order to be safe.